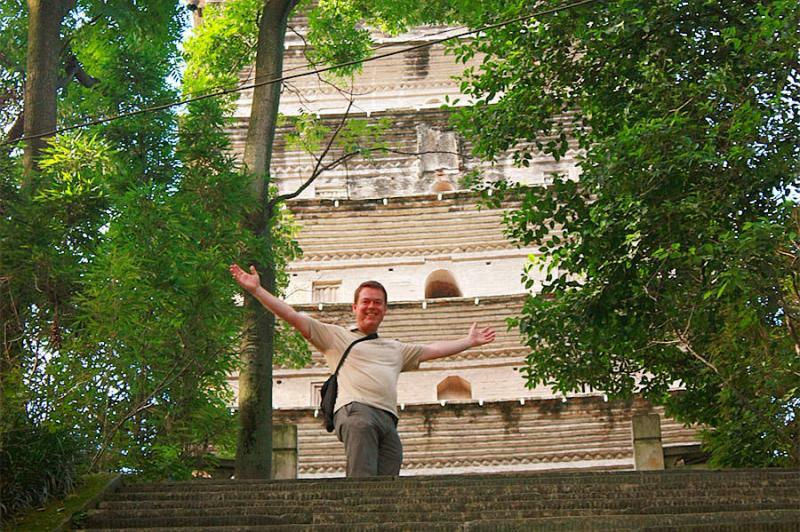 This 4-day budget-friendly Nanning group tour is especially crafted for overseas Chinese from Southeast Asian countries with a considerate Chinese-speaking tour guide, and will take you to the world’s second largest transnational waterfall – Detian Waterfall, fantastic Tongling Grand Canyon and the border underground Great Wall. Priced at RMB 1030 per person. Pick you up at 6:50 a.m. in front of the hotel. 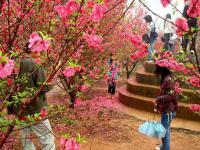 Then head for Mingshi Scenic Area (3 hours), which is known as “Small Guilin” and a photographers’ paradise. Enjoy yourself with the tranquil world of fresh air and intoxicating scenery (the entrance fee of Mingshi is at your own expense). After lunch, visit the border underground Great Wall to discover various striking war defense works and admire peculiar border views. Then head for Tongling Grand Canyon in Jingxi country (4.5 hours) for Nianba Gorge, Tongling Gorge, Tongling waterfalls, ancient suspended coffins and some primordial vegetation. Afterwards, drive to Shuolong Town. 2. Please pay attention to safety when you visit the Tongling Grand Canyon. 3. Electromobile fee in the Tongling Scenic Area: RMB 5 per person. After breakfast, visit Detian Waterfall. 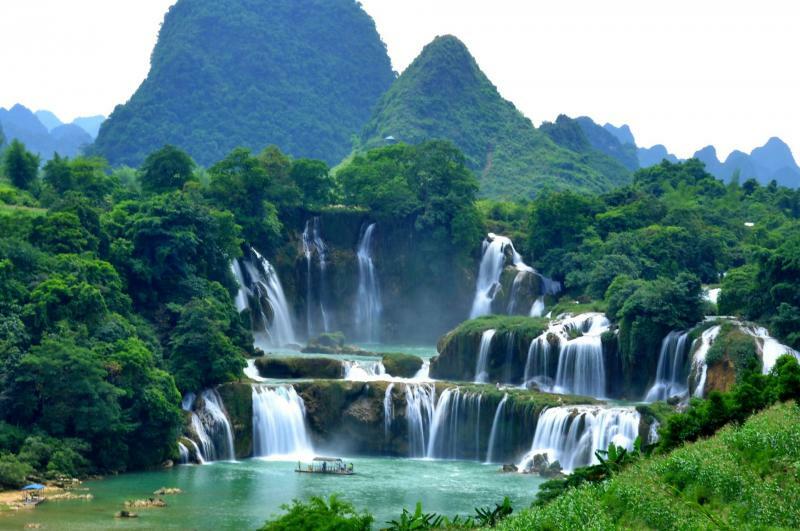 Explore the second largest transnational waterfall in the world, bordering with Vietnam (2-hour hiking). Then pay a visit to Zhuang ancient village, which is the best preserved Zhuang style ancient village with original ecology in local area. 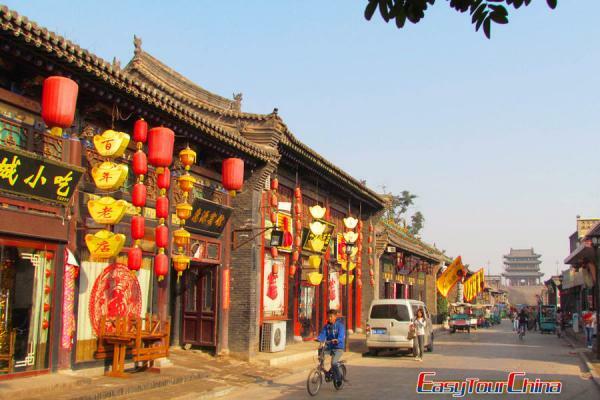 Strolling in the village, feeling the true nature and discovering the real life of the Zhuang people will be a great fun. Enjoy the local lunch special – Zhuangwang Feast. Afterwards, drive back to Nanning. 2. 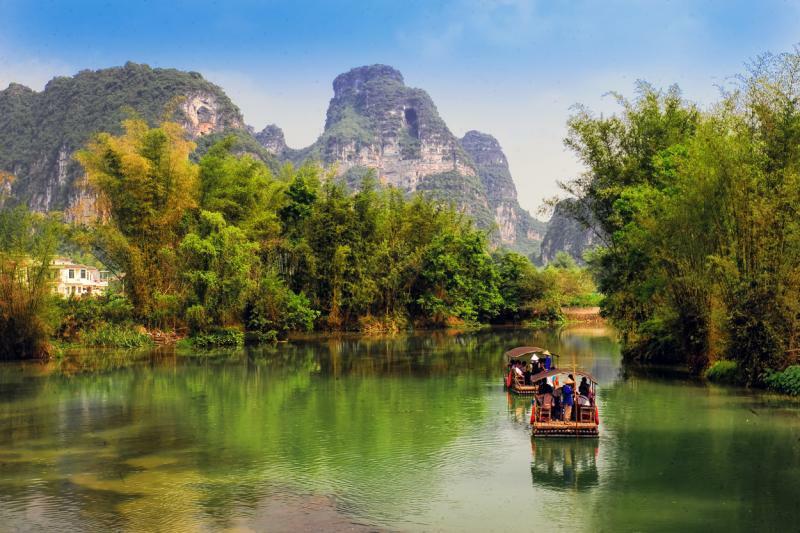 Bamboo Raft fee in the Detian Waterfall Scenic Area: RMB 30 per person.